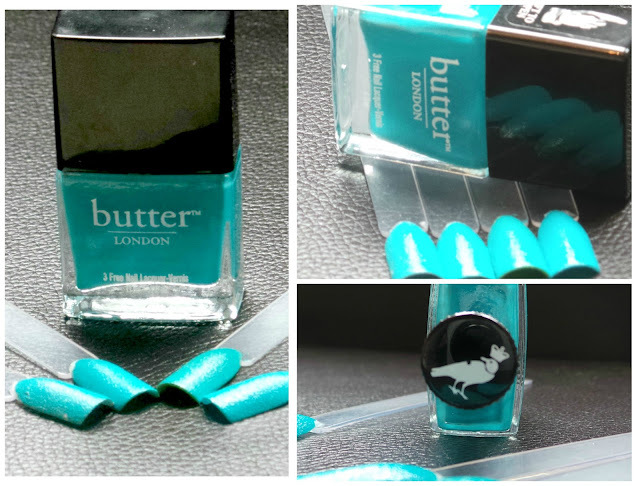 Butter London Nail Lacquers are one of the best brands of varnishes I have ever tried. I love their creamy texture. One coat of the thicker varnishes is normally enough but no more than two. The staying power is really great too, it is important to take the time to apply your top coat to make the most out of your manicure. This shade is 'Slapper' I don't really like the name, it makes me cringe a bit - but the colour is delightful. A rich teal green and is brighter in real life, although I like these pictures I still feel they don't do justice to the colour. I really want to try 'Trout Pout' next, it is a gorgeous coral/peachy colour. These little beauts cost £13 and worth every penny. What do you think of this shade? Is it too bright, what shades of polish to you prefer? I'm just gutted I only have the one .. for now. 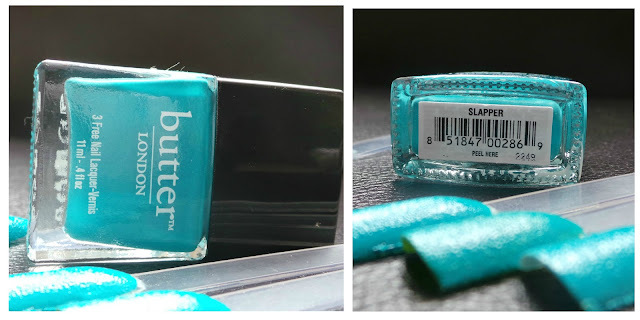 Really pretty color, I can't wait to own my first butter london. This looks amazing! Such a great colour! Such a lovely shade! I love Butter London. I love this shade! This is my next purchase! I did a review on Butter London's come to bed red so you should check it out on my blog.